The Dramatic Showcase line showcases several figures that, when placed together, recreate iconic scenes from the anime they're from! 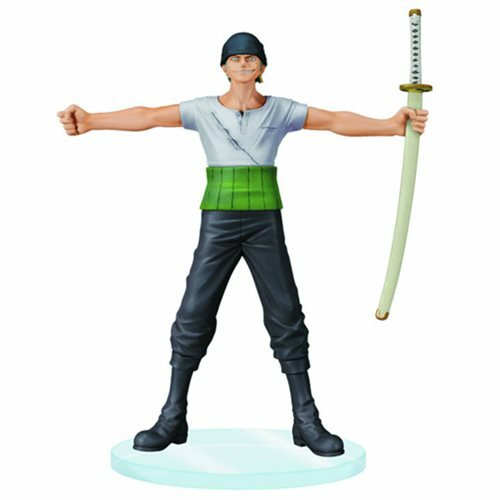 This One Piece Dramatic Showcase Roronoa Zoro Statue measures 5-inches tall and comes with a display stand. Add the iconic hero pirate to your collection for the ultimate battle! Ages 15 and up.